The Z540R is the largest offering in the residential zero turn range and is designed for a premium level of power and performance. 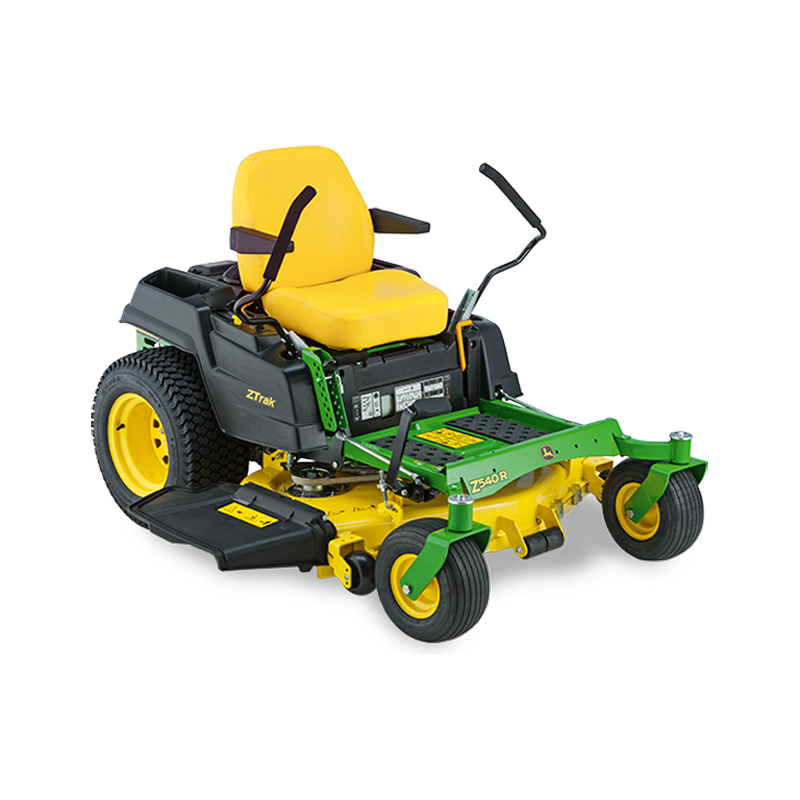 The 122cm (48in) deck has a high capacity design for handling larger volumes of grass in a more efficient manner and is powered by a 16,1kW twin cylinder engine. The deck can be easily converted to mulching or collecting with the addition of optional kits. Built on a solid and robust frame that ensures smooth and comfortable operation, the Z540R also boasts a high back comfort seat, a wide operator platform for leg room and plenty of on-board storage space. Choose the Z540R for the ultimate in zero turn mowing.